Allen & Shariff provided MEP engineering and BIM services for the Google, Inc. renovation. 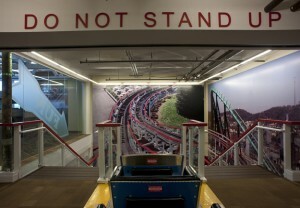 Origional Article by Sean Collier – Google Pittsburgh’s new Kennywood-themed office space will blow your mind. Standing on the gently sloping entrance ramp that leads to the Thunderbolt — the red railing, the dark-brown wooden floorboards, the white trim and bright light bulbs overhead — is an intimately familiar experience to any born-and-bred ‘Burgher. But this isn’t Kennywood. It’s the latest addition to the offices of Google Pittsburgh. The company’s Bakery Square offices, designed by the visionary team at Strada LLC and housed in a former Nabisco factory, are already well-established as one of Pittsburgh’s most impressive workplaces. 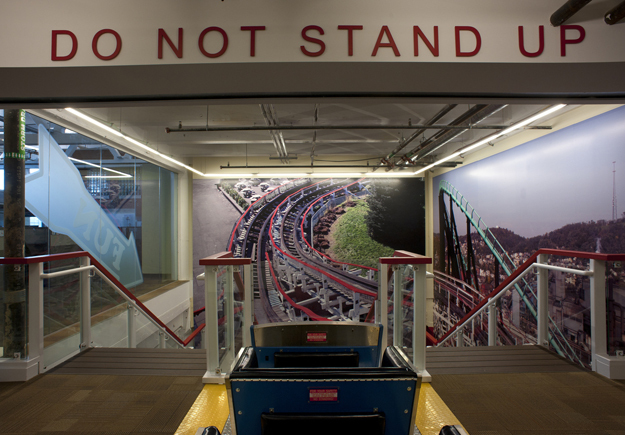 Now, they’ve expanded to take up a third floor, and in yet another demonstration of Google’s resolve to be a truly local company, their new space is dedicated to Kennywood. From end to end, the addition is decked out with photos, signs and decor from and inspired by the West Mifflin park. Allen & Shariff will provide MEP engineering and BIM services for the Google, Inc. renovation. Original Article by Alex Nixon, a staff writer for Trib Total Media. Search giant Google will expand in an East End development where it has had offices since 2010. Google, which occupies three floors in the Bakery Square complex in East Liberty, will take over a fourth floor of the seven-floor building, said Gregg Perelman, managing partner of Walnut Capital Partners, which owns the complex. Mountain View, Calif.-based Google, which has had a presence in Pittsburgh since 2005, said it would hold a news conference on Friday.